Below is a brief historical outline from RK Peacock, Evolution of Australian Light Horse Regiments 1841-1935, Unpublished MSS, c.1936, p. 6. This regiment owes its origin to the formation in 1888 of a Corps of Permanent Mounted Infantry in NSW. In the following year the Upper Clarence River Light Horse and this unit, together with the Bega Battery of Artillery, the Reserve Companies of Infantry at Queanbeyan, Picton, Campbelltown and Inverell, were styled the New South Wales Cavalry Regiment, this continued until 1850 when the permanent corps was disbanded. By 1893 the NSW Cavalry Regiment had become the New South Wales Mounted Rifles and held this title until the year 1903. At the Federal reorganisation in this year No. 1 Squadron from Molong, No. 2 Squadron from Picton and Camden, and No. 3 Squadron from Forbes, together with "C" Squadron of the 1st Australian Horse from Mudgee and Rylston, and "G" Company and "J" Company of the 3rd N.S.W. Infantry from Wellington and Forbes respectively were amalgamated and became the 2nd Australian Light Horse Regiment (New South Wales Mounted Rifles). In addition there was the Canterbury 1/2 Squadron, raised in 1900, which became No. 6 Squadron attached to the 2nd A.L.H. Regitment. In the same re-organisation No. 4 Squadron from Tenterfield and Glenn Innes became part of the 5th A.L.H. Regiment (15th L.H.). 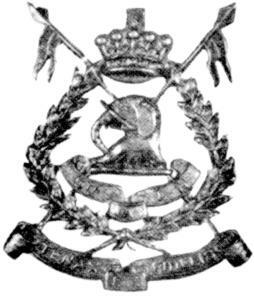 In the re-organisation of 1912 the regiment was transferred to the Queensland command as the 4th Light Horse (New South Wales Northern Rivers Lancers). This section explores the evolution of the Regiment from its first origins as a Commonwealth formation. Each year maps the movement of men and often locations of the various Squadrons and Troops. To get the flavour of the Regiment, it is best to begin the journey at 1889 and follow though each year till 1920. 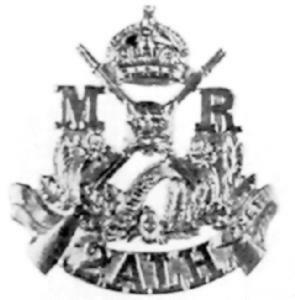 The split between the two regiments of New South Wales Mounted Rifles became final with the designation of the territorial name Northern River Lancers in 1907 to the 5th Australian Horse along with a new badge. Until then, along with its sister formation, the two regiments were known as the New South Wales Mounted Rifles. The sister unit history is below. No. 5 Squadron, New South Wales Lancers, and "K" Company, 4th Infantry Regiment, together with No. 4 Squadron. New South Wales Mounted Rifles. to be formed into the 5th Australian Light Horse Regiment (New South Wales Mounted Rifles). G" Company, 4th Infantry Regiment, together with "D" and "E" Squadrons, 1st Australian Horse, to be formed into the 6th Australian Light Horse Regiment (Australian Horse). 2nd Northern New South Wales Brigade. Major General Sir Edward Hutton, KCMG, CB. Number 3, Tenterfield - Glen Innes Squadron. Number 4, Inverell - Moree Squadron. Major AA McLean, DSO, South African War Veteran, 15 October 1901. Captain CGS Lydiard (Honorary Major). Major General Sir Edward Hutton, KCMG, CB, South African War Veteran. Second Lieutenant P McDonald, Honorary Captain, 26 April 1904. Honorary Lieutenant CH Gorman, 30 April 1904. Captain TB Osborne, 27 February 1904. Second Lieutenant CT Griffiths, 27 February 1904. Second Lieutenant TA Ferguson, 28 January 1905. Lieutenant J Cameron, 12 May 1905. Second Lieutenant L Bice, 8 October 1904. Second Lieutenant H D'A Denshire, 28 January 1905. Major FG Fanning, 1 April 1905. Captain CT Griffiths, 1 March 1906. Captain GAI Mackay, 1 October 1905. Second Lieutenant GWT Yabsley, 10 September 1904. Lieutenant JE Sampey, 30 January 1906. Lieutenant FJ Board, 21 May 1906.